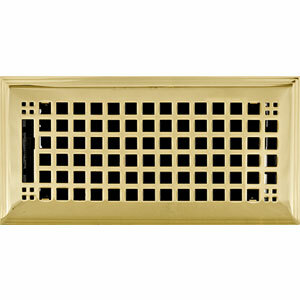 4 x 10 Rockwell Brass Plated Register Discounts Apply ! Decorative register covers are a great way to enhance the decor of any home or office! Call in or order online today!